These are places locating products, with the following characteristics: Flammable Liquid. A flammable liquid is defined as one with a flashpoint of less than 37.8 °C and a vapour pressure (absolute) not exceeding 2.8 bar at 37.8 °C. Among others: gasoline, kerosene, ethyl alcohol, etc. 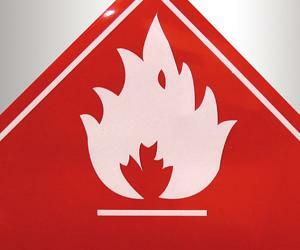 The lower the flash point, the higher the risk of the flammable liquid in question. These products are stored in different types of storage solutions—drums or tanks—depending on the location, size and type of product. Flammable liquids may even be stored inside buildings primarily used for something else or in buildings used exclusively for this purpose. Explosive atmospheres are more likely to occur when there is inadequate ventilation. Possibility of spills, creating a risk of fast-spreading. In fact, even splashing and overflows may occur.